According to the result of packingdrop test, you can judge whether the product has reach the required strength encountered in future. Through doing the drop testing of product independently, you'll know its affordability to withstand external impact and assess the damage. 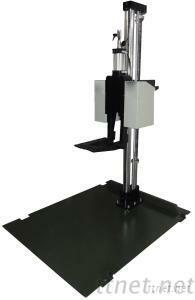 2: In addition to Standard machine, we can make the drop testing height for you according to your requirement. 3: The testing arm use aluminum alloy of high tension.